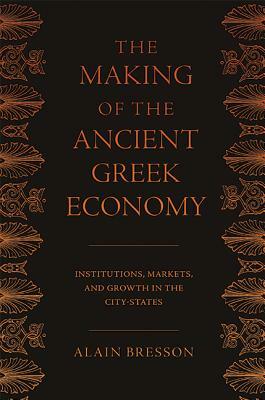 This comprehensive introduction to the ancient Greek economy revolutionizes our understanding of the subject and its possibilities. Alain Bresson is one of the world's leading authorities in the field, and he is helping to redefine it. Here he combines a thorough knowledge of ancient sources with innovative new approaches grounded in recent economic historiography to provide a detailed picture of the Greek economy between the last century of the Archaic Age and the closing of the Hellenistic period. Focusing on the city-state, which he sees as the most important economic institution in the Greek world, Bresson addresses all of the city-states rather than only Athens. An expanded and updated English edition of an acclaimed work originally published in French, the book offers a groundbreaking new theoretical framework for studying the economy of ancient Greece; presents a masterful survey and analysis of the most important economic institutions, resources, and other factors; and addresses some major historiographical debates. Among the many topics covered are climate, demography, transportation, agricultural production, market institutions, money and credit, taxes, exchange, long-distance trade, and economic growth. The result is an unparalleled demonstration that, unlike just a generation ago, it is possible today to study the ancient Greek economy as an economy and not merely as a secondary aspect of social or political history. This is essential reading for students, historians of antiquity, and economic historians of all periods. Alain Bresson is professor of classics at the University of Chicago.